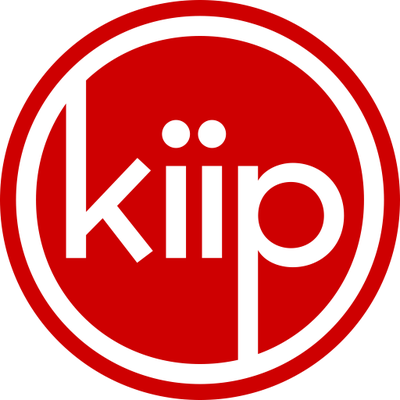 Short Description Kiip operates a business model similar to what we called “incentivisation”, but calls it “rewarding”. The difference is that, instead of doing chores for virtual rewards you may not like, you can actually redeem real products, such as carbonated drinks and snacks! Besides, the company is doing great in integrating this fresh idea with its sleek API and SDK, just as professional as other advertising platforms! Short Description In 2013 founded madvertise media GmbH is a spin-off of the former madvertise Mobile Advertising GmbH initially founded in 2008. As an independent sales house for mobile advertising madvertise media specializes in innovative branding solutions with activating advertising formats for mobile smart devices. State of the art rich media and exclusive special ad placements are part of madvertise ad-product portfolio. madvertise mediaÂ´s mission is to intensify cooperations with agencies and direct clients in the growing field of mobile advertising. Short Description Tapjoy’s goal is to maximize the value of every user for freemium mobile app publishers. Its Marketing Automation and Monetization Platform for mobile apps uses market leading data science, user segmentation and predictive analytics to drive deeper engagement and optimize revenue from every user. Tapjoy’s SDK is embedded in more than 270,000 apps with a global reach of more than 520 million monthly active users (December, 2014). Backed by top-tier investors including J.P. Morgan Asset Management, Rho Ventures, North Bridge Venture Partners, InterWest Partners, and D.E. Shaw Ventures, Tapjoy is headquartered in San Francisco. The company also has offices in New York, Los Angeles, Chicago, Santa Barbara, Atlanta, Boston, London, Beijing, Shanghai, Seoul and Tokyo. For more information, please visit www.tapjoy.com. Location 3 More London Riverside, London, SE1 2RE, UK. Short Description Admoda is a mobile ad network. Bootstrapped all the way, we are extremely proud of what we’ve achieved. Advertisers and Publishers can work directly with us – Advertisers can run highly targeted campaigns on the mobile internet and in apps, and publishers can monetise their mobile sites and apps with advertising. DSPs, SSPs, Affiliate networks, and Ad Exchanges, can integrate with us. Short Description YeahMobi is a performance based mobile advertising and monetization company, founded by Peter Zou and Frank Wang in May, 2009 in China. The company champions native ads format to provide both better experience for app users and better engagement and higher earnings for app developers. The focus on native ads format allows YeahMobi to deliver higher CTR and longer interaction with ads and therefore better eCPMs. The company offers weekly payouts, sophisticated tracking and optimization tools. With the goal of building long-term partnerships and active business growth, YeahMobi offers a 3% commission to master affiliates who refer sub-affiliates. Location Fyber GmbH, Johannisstraße 20, 10117 Berlin | Germany. Short Description Fyber connects app developers and media companies with advertisers through the power of technology across every device. They are an independent advertising technology company devoted to delivering global audiences at scale through a powerful cross-platform monetization & advertising solution. 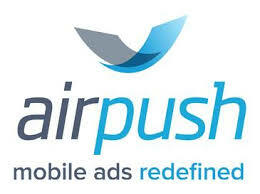 Short Description Airpush is on a mission to redefine mobile advertising. More than 150,000 apps and the world’s leading advertisers rely on Airpush to deliver the industry’s highest performance, driven by exceptional ad formats and targeting technology. Founded in 2010 by mobile advertising veterans, the company has approximately 250 employees and offices in Los Angeles and Bangalore, along with sales regions in all major markets. Short Description StartApp was founded in 2010 with the goal of consistently developing and providing the most innovative and effective mobile solutions for our partners. With SODA, our unique social data platform, partners can now craft a comprehensive, detailed picture of their users in order to optimize and successfully execute all of their overall mobile strategies.StartApp currently partners with over 220,000 applications with a user base of over 477 million monthly active users worldwide.